Elegant and well-located the 95-roomed Reina Victoria sits gracefully on on the Tajo Gorge with fabulous far-reaching views and just 10 minutes on foot to Ronda’s old town, the Puente Nuevo Bridge and Spain’s oldest bullring. With a contemporary feel and stunning extensive gardens and vistas complete with a lovely infinity pool this is an ideal spot for exploring the beautiful town of Ronda. Dine in The Azahar restaurant for Andalusian and Mediterranean cuisine and have a nightcap in the town. There’s plenty of loungers for relaxing and lots of outside dining space. It’s hard not to relax with views like these but if a little extra help is needed try the hydrotherapy pool, Turkish bath or hydromassage showers. Rooms are spacious, for the best ones ask for the back ones with a views. or book the Hotel Reina Victoria immediately via booking dot com. 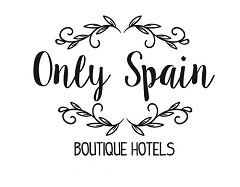 See the Boutique Hotels in Malaga province page for our selection of lovely, little hotels.